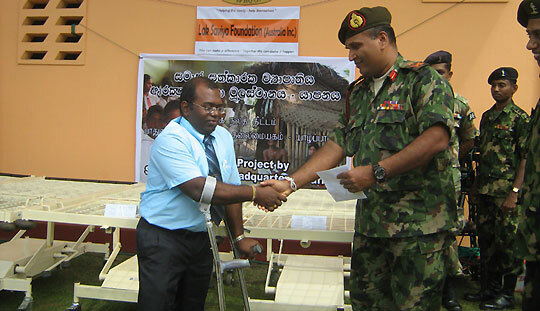 "It is a great pleasure to receive a donation from the Security Forces Headquarters-Jaffna (SF-J) and we thank the Security Forces Commander and his staff for their commitment to uplift the medical standard of the peninsula", said Dr. A. Ketheeswaran, Regional Director Health Services Jaffna receiving a donation of 36 medical beds Friday (29.10.2010) at Civil Affairs and Public Relations Office of the SF-J. He further reminded how the Jaffna troops renovated an abandoned hospital building at Maruthankerny within two days for the benefit of newly re-settled people in the area in addition to projects initiated to reduce dengue threat in the peninsula drastically. 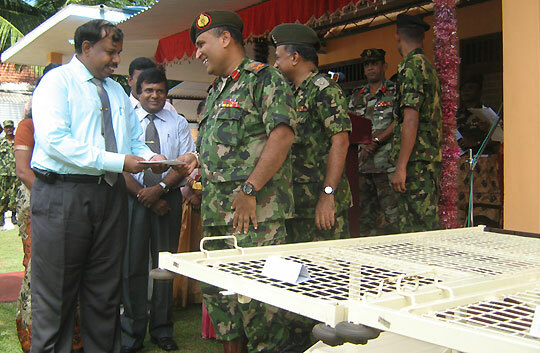 The donation reached Jaffna at the request made by Commander SF-J Major General Mahinda Hathurusinghe from some of his close friends domicile in Sydney, who has formed a charity organization named "Lak Saviya Foundation", Australia. The stock worth about Rs. 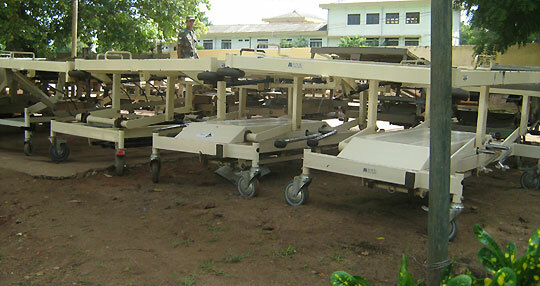 2 million included 7 surgical beds to be used at ICUs and 29 other medical beds. During the same function, beds were handed over to medical superintendents of Thelippalai, Chavakachcheri, Kyts and Point Pedro hospitals. 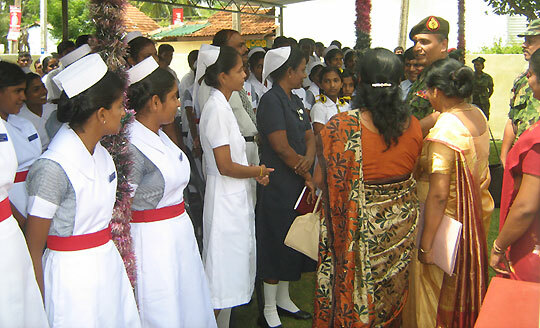 Attending the function, Government Agent and District Secretary Jaffna Mrs. Imelda Sukumar thanked the government for creating a peaceful environment to achieve rapid development in the peninsula and complemented the Jaffna Commander for the yeoman service being discharged to uplift the standard of education, health, economy and re-settlement which showed a remarkable progress. 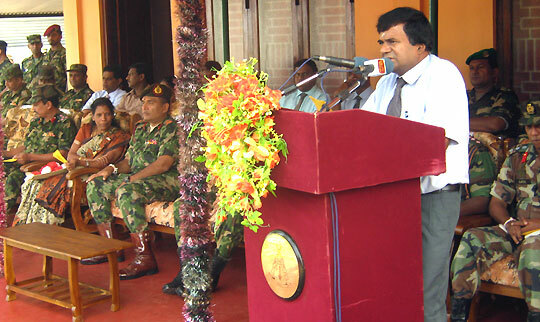 During the Chief Guest's speech, Maj. Gen. Hathurusinghe extended his sincere thanks to all members of "Lak Saviya Foundation" for their positive and instant respond to his humanitarian request for the sake of needy Jaffna community. 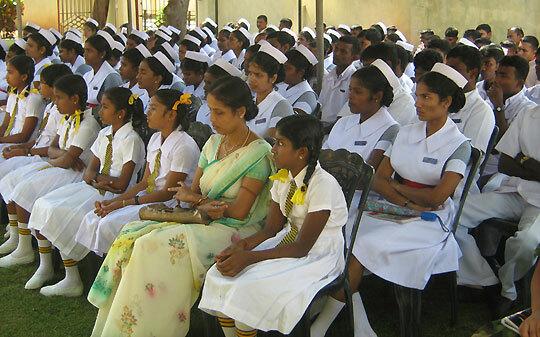 He specially mentioned the cooperation given by Director General Health Services Dr. Mendis in the process of timely clearance of the cargo of beds. 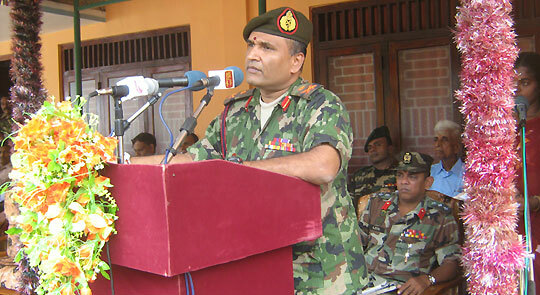 General Officer Commanding 51 Division Major General Janaka Walgama, Brigadier General Staff SF-J Brig B.C.J.A.F. 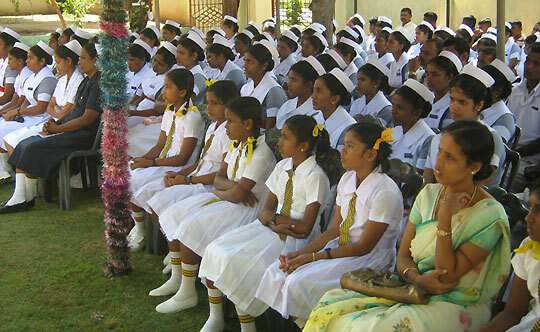 Rodrigo, Principal of Jaffna Nurses' Training School, medical officer and nurses attended the function.